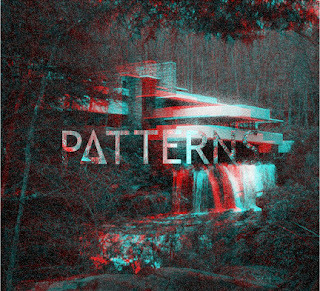 We were early on the scene when we wrote about a Manchester band called Patterns last October. Since then, they've released their debut EP and signed to Melodic Records. More importantly, they've recorded a blissed out cover of the classic All Saints track, 'Pure Shores'. Pick up the EP for free and download the cover below. Back in October, they only had one track available to listen so I said the following: "Patterns attempt to bridge the gap between post punk and shoegaze by way of a soundscape of dreamy electronica". Having heard more of their music, the dreamy electronica has pleasingly been in full flow lately. The 'Pure Shores' cover came about about as a result of fellow music bloggers Crack In The Road putting together a compilation in aid of Youth Music, the UK's largest children's music charity. Check out the compilation (featuring the likes of Polarsets and Bravestation) and donate if you can. Download the track from Crack In The Road. Download the 'New Noise' EP for free below - click the artwork player - or purchase a CD version from Pull Yourself Together. It's a good 'un. For more on Patterns, head to their website.